Idelic’s Safety Suite puts the safety of the trucking industry at the heart of their business model, which utilises a high-tech approach to understand drivers’ behaviour and reduce preventable collisions. Idelic has developed a web-based software aimed at trucking companies embracing the technological innovations sweeping the sector. Companies are beginning to implement various technological improvements throughout their fleets including telematics and onboard video systems that collect data about the drivers’ performance and safety. Idelic’s Safety Suite integrates this data and allows fleet owners to see the complete picture of driving performance of their fleet. The Safety Suite also stores asset management data, to monitor the condition of the fleet vehicles, as well as HR and qualification files on each driver. All of this data is combined digitally and analysed using machine learning and artificial intelligence, allowing firms to identify high-risk drivers and prevent collisions before they occur. This ultimately saves trucking companies time and money, and improves the working conditions and safety for drivers, in a sector where employee turnover is unusually high and job satisfaction unusually low. In addition, by improving safety outcomes, the software can in turn reduce insurance claims and reduce premiums. Idelic estimates that their software has reduced users’ claims by 48% and cut premiums by 58%, suggesting it is possible to both improve safety and decreases business costs. Over two billion tonnes of hazardous materials are transported by truck in the United States each year. Idelic helps companies to take an active approach to avoiding the environmental and financial costs of spills and other environmentally damaging truck incidents. 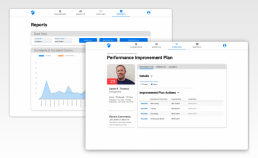 Fleets are able to use the Safety Suite to roll out detailed performance improvement plans for their team of drivers, helping to reduce the chances of crashes. The company estimates that their software as a service is able to roughly halve the number of insurance claims filed, resulting in improved road safety for all road users. Idelic is a safety and operations focused software provider born from the trucking industry and infused with modern innovation and entrepreneurship.